Allen & Heath has added wireless personal mixing to its Qu series mixer ecosystem in the form of the new Qu-You app. 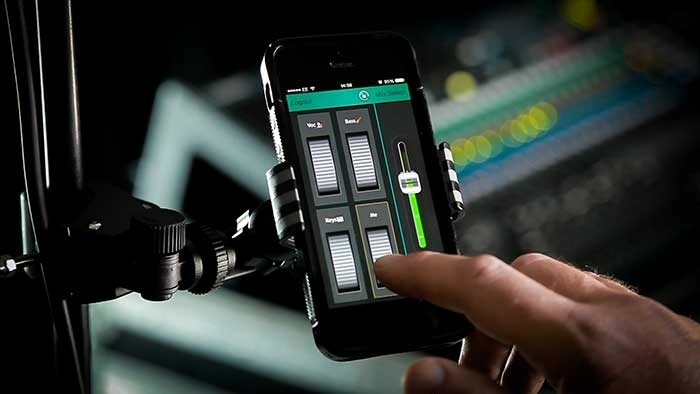 Qu-You allows up to seven performers to control their monitor mixes using an iPhone, iPad or iPod Touch, and frees up the engineer to focus on the audience. Senior product manager at Allen & Heath, Nicola Beretta explained: “With Qu we’re building a complete ecosystem of mixers, stage boxes, recording tools, apps and more – whatever the engineer and artists need for mixing live or in the studio. Qu-You is designed to be super easy to use in the heat of the moment, so performers can get up and running with it almost instantly. All the functions they need are literally at their fingertips, and unlike some apps out there, all functions are available in either orientation, so you won’t see guitarists fumbling to turn their phone and play a solo at the same time!" Qu-You has a ‘Four Wheel Drive’ view presenting chunky thumbwheel level controls for four groups of sources, plus a master mute and output level control. Double tapping on a group gives access to individual channel metering, send levels and stereo pan. Groups can be named for instant recognition and channels can be assigned to groups via simple checkboxes, allowing the user to create their perfect custom mix. Qu-You is available now from the Apple App Store and is compatible with Qu-16, Qu-24 and Qu-32 live, studio and installation mixers.